This is the third and final article on collecting, following Strategy is Choice and Collecting Requires Research. Wishing your families and you Happy Holidays and a wonderful 2019! It was a blessing to be a professor with relatively limited funds as it forced me to focus. Combined with an understanding of Indian modern art’s origins, I funnelled my resources to where I could make a difference – among the overlooked, under-priced and ignored. Within what the gallerists, auction houses and wealthy buyers sneeringly referred to as the “Old Bengal School”, I saw three artists redefining Indian art with a revolutionary push towards modernism against western conceptions of art as so brilliantly articulated by Partha Mitter. Jamini, Hemen, and Rabindranath, on one hand rejected the colonization of the mind, and on the other, the dead end of adopting centuries old conservative orientalism led by Abanindranath Tagore school (which included Gaganendranath Tagore and Nandalal Bose). After a decade of primarily acquiring Jamini Roy paintings, and becoming known in art circles as a “Jamini” collector, it became increasingly difficult to find Jamini pieces available that could enhance the existing collection. However, in the process, I learnt more about two of Jamini’s contemporaries, Rabindranath Tagore and Hemen Mazumdar, who were the “unJamini”. In greater appreciation of the direction that they had taken in opposition to Jamini Roy’s conception of Indian modern art, Hemen and Rabindranath Tagore works increasingly dominated later acquisitions. Unlike with contemporary art, where there is a market to be “made”, the old masters is a clean market. With no one possessing substantial inventory of the masters, the motivation to manipulate the market is non-existent. And, the buyers of contemporary art have been burned. Ask those who bought Subodh Gupta during 2006-08 for a million dollars and now are unable to offload them for a tenth of the price. There is always more inventory coming on the market. If the artist does not evolve, the new stock that appears on the market looks just like the previous works. This leads to a collapse in prices. When I started collecting, I was astounded that one could “buy” an original Rabindranath Tagore painting, forget that it was available at throwaway prices. Similarly, when bidding up prices of Jamini, I was advised by experts that I was paying too much. In hindsight, from a strict financial perspective they were correct. But, I was thinking this is the most important artist in the history of modern Indian art, how come other people don’t see it? Even today, Hemen’s paintings have minimal trade as only a couple appear in the auctions every year. As sellers sought and offered me the best works of these three artists, I felt fortunate to be a lonely collector of them. When you collect what the “few” think should be, the result is more likely to be a unique collection. In contrast, a strategy of simply snapping up the most expensive works or buying the cover lots of the auctions leads to the art in the collections becoming repetitive and boring. The distinctiveness is lost as the crowd mimics each other. I wish all my fellow collectors to be bold, immune to fashion, freethinking and compulsive. One must have the confidence to go against the accepted fashion or the flavour of the day. But, it is precisely this quality that makes it an unlikely wealth creation strategy. Of the three artists, perhaps only Rabindranath Tagore has risen in value to outstrip inflation. But then that was never the objective. You must get pleasure from the object even if, and when, they are out of fashion. It was providence that I was brought up in Calcutta, surrounded by arts and strong women. Inadvertently, this shaped my taste in art as it uniquely represents my own narrative. I collected for the opportunity to have contact with beauty, with genius, and with history. Unlike the investor, striver, or decorator, it is for the innate pleasure of seeing the art every day, not for reasons of investment, to prove to others that you have arrived, or to decorate the walls. Most important to me is what do I feel when I stand in front of a painting and how vividly do I recall it when I shut my eyes. Beyond, the historical importance, the collection strategy, above all, the art must linger in my head. Even after all these years, whenever I enter my London apartment after an absence of a couple of months, I hold my breath for a second and go wow! Finally, Hemen Mazumdar, Jamini Roy, and Rabindranath Tagore are towering figures of Indian modern art. One does not really own their works. Instead, they should be shared as widely as possible via loans to exhibitions and an open house for those interested in viewing them. Being among the largest private collections of these three artists brings a responsibility as a custodian to this art. 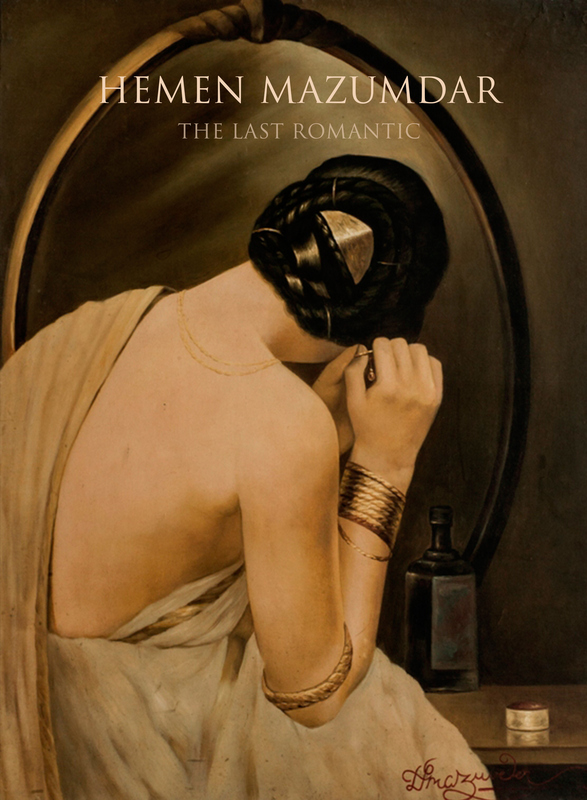 It is in this role, I am happy to announce the exhibition of Hemen Mazumdar: The Last Romantic. Hope to see you in Singapore at the exhibition. The first international exhibition of Hemendranath Mazumdar (1894-1948), popularly referred to as Hemen Mazumdar, will be curated by Caterina Corni from Milan, Italy. It will showcase thirty-five works drawn from various private collections. A book on Hemen Mazumdar with essays from leading Indian art academics will also be published.